At the Gonino Center for Healing we want to allow others an outlet to pay it forward. 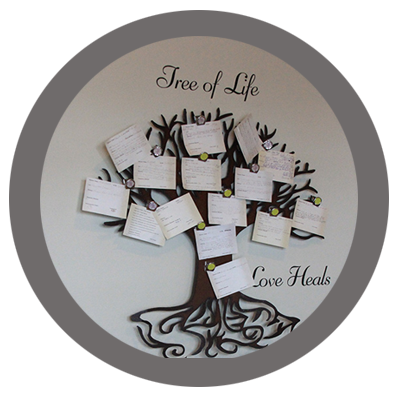 The Tree of Life campaign lets those that are called to give anonymously, to give to patients that may not be able to afford integrative medical care. Every donation is allocated to peoples accounts that pay for services such as Labwork, IV therapy, doctors visits etc. The Gonino's lovingly match the donation up to five hundred dollars. Call the front office for donations accepted over the phone or simply speak to someone about the Tree of Life Campaign at your next office visit. (Any family and friends donations are accepted as a credit to the patients account. Donations to the TOL are made by people unknown to the patient as the premise for this is anonymous giving. However, if the two, the giver and receiver, would like to meet, we can set that meeting up.) Love Heals. Texas Medical Freedom is an initiative of Texas Right To Know. The Texas Medical Freedom website details its mission to expose to the public examples where the Texas Medical Board (TMB) is exerting sanctions against health practitioners who practice under Title 22 Part 9 Chapter 200 of the Texas Administrative Code - Standards for Physicians Practicing Complementary and Alternative Medicine. When practitioners are investigated by the TMB after providing legal and compliant alternative medicine, the TMB evaluates the situation using guidelines for conventional therapies. Many times investigations include review of private patient records without patient consent or without a warrant and can lead to sanctions or revocation of the health practitioner's license without due process. Texas Right To Know (TRTK) is a coalition of various advocacy groups with services designed to inform and connect people in a community regarding local and state legislative issues that affect their basic necessities of life and how they can get involved and influence the laws they live under. Though there are many very important social issues before us, TRTK will focus on those which bring forth a united front for action and steer clear of those issues which are controversial, polarizing and divisive. EatWild.com provides lists of farmers known to produce wholesome raw dairy products as well as grass-fed beef and other farm-fresh produce. Here you can also find information about local farmers markets, as well as local stores and restaurants that sell grass-fed products. Weston A Price has local chapters in most states, and many of them are connected with buying clubs in which you can easily purchase organic foods, including grass-fed raw dairy products like milk and butter. The Grassfed Exchange has a listing of producers selling organic and grass-fed meats across the U.S.
Our mission is simple: Build a socially-conscious generation of young people who END the global water crisis. We do this by educating students about it and activating them to rock the clean water cause & build real water projects all over the world. Why Water? Health and Sanitation: Waterborne diseases kill more children every single year than AIDS, Malaria, and all world violence combined. Small children typically do not have strong enough immune systems to fight diseases like cholera, dysentery, or schistosomiasis. Purchase a 60 minute massage with Vanessa and receive 2 free sauna treatments! Receive 2 hyperbaric oxygen chamber sessions (HBOT) or sauna session with purchase of IV package of 6 or more. Military Discount 20% OFF Monday through Friday any IV. RIFE MACHINE:1 for $25 (One Hour Sessions) 12 for $240 (15% savings) 18 for $382.50 (15% savings) Can conveniently be done during your IV Therapy!! Rife Technology is used to treat:Migraines- Certain Cancers -Chronic Fatigue- Allergies-Depression- Fibromyalgia-Lyme's Disease- Chronic Pain. Max Recommended Sauna Treatments: 2-3 Sauna Treatments a week. Get the latest from #LoveHeals! 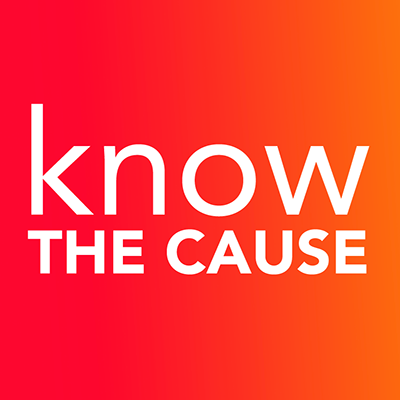 On December 18, 2018 and Jan. 3, 2019 Dr. Gonino will be on Doug Kaufmann's Know the Cause TV show. Speaking about health, wellness, and some amazing miracles weve seen here at the practice. Tune in and share the news! Watch on www.knowthecause.com, Know the Cause Youtube, or on certain TV channels. Connect to website for more info on TV stations. RETHINK YOUR HEALTH: ONE DAY, NINE NATURAL HEALTH EXPERTS -- A NOT TO MISS EVENT! Join us LIVE in Dallas July 28, 2018 or purchase the LIVESTREAM option that you can replay ANYTIME, ANYWHERE. On Saturday, July 28, we bring together NINE health experts in Dallas, to inspire you to ReThink your HEALTH. It’s a not-to-miss, eye-opening live event that will educate & empower you to take BACK YOUR HEALTH from a medical/pharmaceutical industry that makes money keeping you and your family SICK -- not HEALTHY. 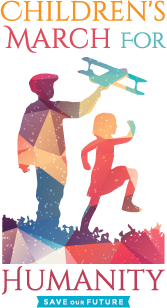 Children's March for Humanity and Health Summit 2017! Gonino Wellness Radio going live on air October 7, 2016! Don't forget!! !- Dr Sinatra is scheduled to be Linda and my guest on our radio show on Nov 18. The show's first aire date is Oct 7 , 3pm Central time. It will run on consecutive Fridays for 13 weeks. In addition to Dr Sinatra , we will also have the following guests: Doug Kaufmann host of the television series Know The Cause, Dr Richard Becker , co- host ( wife Cindy) of the television series , " Your Health Matters" , and Erin Elizabeth of Health Nut News , which has over 1 million followers to date. As we add more guests we will keep you posted. To join the show live, log in to VoiceAmerica.com . Linda and I and all of our staff appreciate your support so much. I.V. Ozone Therapy is now at The Gonino Center for Healing! Dr. Gonino and Linda attended the Dr. Frank Shallenberger Ozone Therapy Intensive training in April of 2015. Learning the importance and effectiveness of Ozone Therapy in its' many forms. We now have instituted IV Ozone therapy into our regimen and it is proving successful in many patients especially those with Degenerative Diseases, Heart Disease/Coronary Artery Disease and liver disease. Click here to learn more about I.V. Ozone. Get the latest updates from Gonino Center for Healing.